Nintendo’s Kirby Is Now a Musical Instrument #MusicMonday « Adafruit Industries – Makers, hackers, artists, designers and engineers! 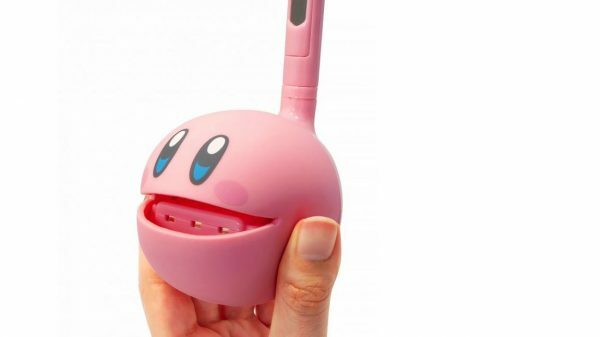 The world will get an otamatone Kirby this year, and thank god for that. Otamatones are the adorably obnoxious toy instruments that have reached viral status for moving covers of classic songs such as “Ave Maria” and Smash Mouth’s “All Star.” Using a slide attached to a synthesizer mouth, the skilled otamatone artist can create beautiful renditions of just about whatever you want. And soon, we’ll be able to rock it with Nintendo’s most underrated character, Kirby. As Nintendo Wire reported Thursday morning, the news has been confirmed by the product website and Twitter page, as well as my personal religious text of choice, the official Kirby Twitter account. The Verge also spotted this world-rocking news on the “Team Pupupu Kirby Star Allies” Twitter feed.